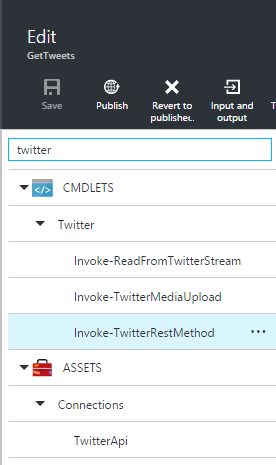 For graphical runbooks in Azure Automation in the Preview portal, you can now search the library of cmdlets, runbooks, and activities during runbook authoring. 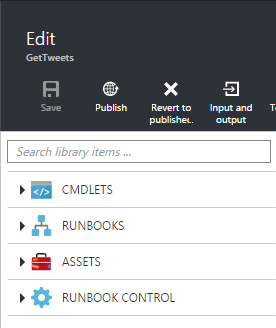 This greatly simplifies the task of finding particular activities when authoring a runbook, especially when the library can contain hundreds of items. 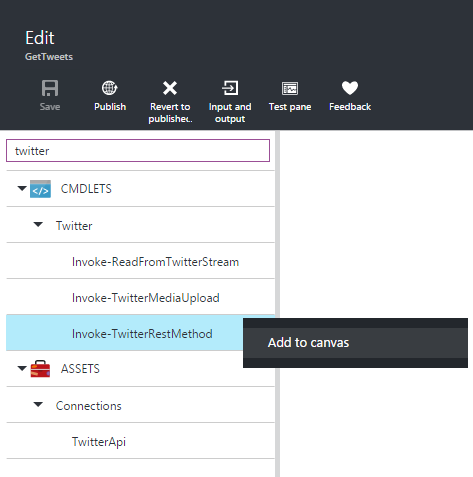 In addition, you can add a library item to the canvas by using the left-click, which makes this action more discoverable and more efficient.